Today, we’re excited to announce that we allow people to share wishlist on Snapchat. Starting today, you can share your wishlists with friends from WISHUPON to Snapchat, and so chat about what you want to buy. We are invited as a partner of Snap to Snap Partner Summit in Los Angeles. Sharing your wishlist with your friends is one of the best parts of the shopping journey. For instance, once you’ve archived the trendy dresses, you’ll probably realize that it’s about time to share this bunch of dresses with your besties and select the best one. Wishupon is about to make it so easy for you to let BFFs keep up with all your fashion tastes. Integration between Wishupon and Snapchat will let you share wishlist through the app so you can dress up stylish from head to toe. 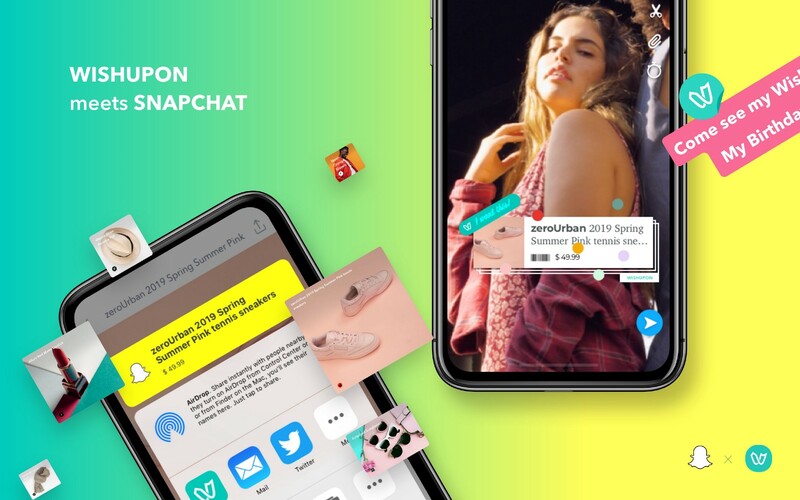 You can send whatever products you want to buy with beautiful stickers in Snapchat, and whoever is on the receiving end of the Snap can swipe up and go see products online. We hope that your shopping experiences would be better with WISHUPON x SNAPCHAT ! >> Download Wishupon App Now !